This OPEN NATIONAL HANGGLIDING CHAMPIONSHIP SERVIA OPEN 2018 will be held from the 30th/June up to the 08th of July 2018 (08th is an alternate day) and is an FAI OPEN CROSS COUNTRY Class 1 CATEGORY 2 EVENT. It will be held along with the 32th Greek National Championship. This championship will be organized by the Hellenic HangGliding Commission in cooperation with Greek Hang Gliding Clubs on behalf of the Hellenic Aeronautical & Airsports Federation, with the support of the Municipality of Servia-Velvendo and the Cultural Center of Kastania village. This event has been held yearly, since 2006, with great success. The flying area includes both Mt. Titarus and Mt. Olympus, the same flying sites as the Pre-World Speed Gliding Championship and Cross Country event held in 1999 and World Speed Gliding Championship in 2000. Headquarters is the village of Kastania, a mountain village, above the city of Servia. From Kastania village you have a beautiful view of Lake Aliakmona and the large city of Kozani which is across the valley. The main take off is a 3’ drive from Kastania. The main landing area is near the city of Servia and about 200m away from the local swimming pool of Servia. So as soon as you reach goal you can take a refreshing dip in the pool. On arrival the competitors shall report to the Registration office (as per the above schedule) to have their documents checked and to receive supplementary regulations and information. - Certificate of Insurance for medical care and repatriation. Type of launching – open window (free take-off without any set launch order). Pilots in launch lanes must be completely ready and intending to launch. Pilots who are ready and who wish to move into a launch lane must give their pilot number/name to the launch official who will be recording the launch order for fairness. In the event of a “push,” the pushing pilot’s number will be recorded and no other pilot may enter the launch lane ahead of the pusher. At the meet director’s discretion, point penalties may be given to pilots not adhering to launch rules. The take off “push” system will be used. Only pilots in their harnesses and ready to take off and in the launch lane are allowed to push. Pilots ahead of the pusher will have 60 seconds of launchable wind to launch otherwise, if they don’t launch, they must queue behind all pilots remaining to launch. The pusher has no decision time on launch and must launch within 60 seconds (of uninterrupted launchable wind) or score zero for the day. In the event of dangerous overcrowding in the air around launch the competition director may close the launch temporarily until congestion has eased. A daily turn direction up to and in the start gate cylinder will be used. Turn Points will be cylinders of 400m radius unless otherwise specified at the task briefing . In the interests of safety, a turn direction at turn points may be specified at the daily task briefing. A pilot may not take a start gate again once he/she has taken a task turnpoint. Goals (not the end of speed section) will be a virtual cylinder of 200m/radius, centred on the goal coordinates, unless otherwise specified at the task briefing. At the Organizers discrection, there may be a physical line with wind indicators at each end placed over the virtual line co-ordinates as a flight reference for pilots. Competitors may take-off more than once only within the OPEN WINDOW time, as long as the start gate has not been taken, that they land in the official landing field, advise the Landing Official of his landing and the Meet Director and Launch Official prior to taking off again. A failed take-off attempt or safety problem arising immediately after take-off which results in a landing at take-off will not count as one of the permitted number of take-offs. Pilots must report to the Landing Official before the second take-off attempt. Pilots may not enter the start lanes unless they are fully ready to fly. At no stage is a pilot permitted to launch without having been given permission by the launch official, following a hang check by him. In the interests of safety all pilots who intend to fly for the day must sign a SIGN IN sheet before launching (this will be up at launch) and also SIGN OUT again at HQ after the task, also if the task has been stopped. Penalty points may be applied for failure to follow this rule. Times of window open for take-off and time for the closing of the window, turn points and last landing will be displayed on the taskboard. An extension may be used (for example) when the launch official/meet director deems conditions are unsuitable for launching or when launch has been closed due to an accident. The minimum period of time that the launch window will remain open for the day (launch) to be considered valid is 2 minutes per pilot. 6.1 Scoring and Track verification will be done using FS (Flight Software) developed for the CIVL using the GAP 2016. WGS 84, hddd,mm.mmm’ (degrees, minutes, decimal minutes) offset: + 03:00 (hours). Pilots may use any model of 3D GPS unit that is compatible with the CIVL FS flight verification software to be used at this event. This includes any 3D GPS that can be downloaded using GPSdump. See http://www.gethome.no/stein.sorensen/ for a list of supported GPS units. Pilots with other models may be required to provide hardware, software and methodology for downloading. GPS track log evidence is the ONLY way to verify and provide data for flights for scoring. Track logs will be used to verify any infringements. Pilots have to provide their own cableif they use Aircotec instruments. To be considered valid, the GPS track log has to comply with the current requirements in Section 7A of the FAI Sporting Code. Scoring a stopped task. A task which has been stopped but not cancelled shall be scored from the GPS TRACK LOG POSITION at the moment that the task was STOPPED. The task will be scored if 45 minutes have elapsed from the start of the START GATE. Pilots who do this when the task has not been stopped or cancelled will be penalised at the Meet Director’s discretion. Pilots must also report back after stopped tasks. A pilot who lands (or limits his flight) to assist another pilot in distress shall be scored for the day This score shall be the average day- weighted of what he scored in the previous rounds, or the average pilot score if this happens on the first task. However, as the meet progresses that score will change to take into account his average day- weighted scores of the whole meet so the score will be adjusted after each task. 7.5 Reporting back late: For each task there will be a latest report back time stated. For safety reasons, pilots who have not notified organisers of their landing by this time will lose 10% of their day score for a first infringement, 50% for a 2nd infringement and will score zero for any further infringements (unless a reasonable explanation is offered as soon as possible to the meet director). Penalty points may also be given for late GPS downloads. The maximum wind speed in which a task shall be flown is 40km/hr (including gust readings). This shall be measured at take-off. The Meet Director will make the decision regarding suitability or not. The scorer shall publish provisional task results in the evening of the day the task was flown. When this is not possible (late retrievals), they will be published as close to 8.00am of the next day as possible. Competitors are recommended to request correction of mistakes as soon as possible but not later than 9.00am of the next day. A complaint in writing in English (the Greek competitors in Greek) may be made to the Comp’ Director, preferably by the Team Leader to request a correction as soon as possible but no later than 9.00am of the next day. If the complainant is not satisfied with the outcome, the Team Leader or pilot may make a protest in writing in English (the Greek competitors in Greek) to the Competition Director. as soon as possible but not later than 10.00 am of the next day On the last competition day the time schedule is adjusted according to the PROGRAMME published at the beginning of these regulations. The protest is examined and decided upon by the Jury within 2 hours of submission. The protest fee is 50 euros. The fee will be returned if the protest is upheld or if is withdrawn prior to examination. No retrieval will be provided by the organizers. Registration: To be made online. Note that this competition has a limit of 65 pilots. Final online registration date is 28th of June. Pilots registered online must sign up and present their documents, Insurance, FAI Sporting Licence, passport and entry fees on the 29th & 30th of June from 18.00 until 21.00 hours. Insurance: All pilots must be insured for 3rd party liability, medical care and repatriation. Proof of this must be presented to the organizers. The organizers can only provide 3rd party liability insurance at a cost of 15euros per person. Scoring will be done with GAP 2016 using the FS program. 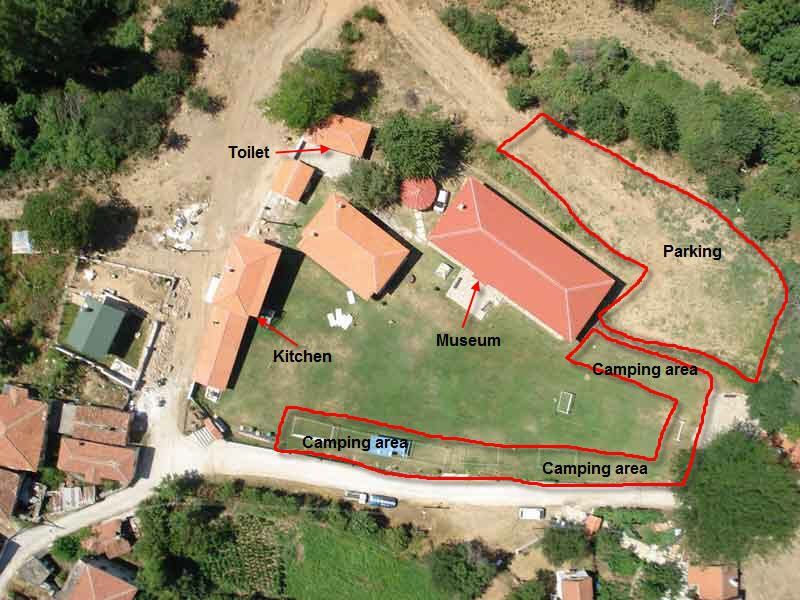 Free camping is possible at headquarters in the village of Kastania, in the courtyard of the old school, on a grassy field. Toilets and hot water showers are available. Kitchen facilities are also available. At the headquarters area there is also a museum displaying local artifacts of everyday use along with an old Christian Orthodox Chapel. Should you wish to learn about the past, you may see it unfolding its lesser known histories in the halls of the renovated school, which now houses the noteworthy Folklore Collection, meticulously put together following an initiative by the Learned Society of Kastania in 1999. The large number of artifacts collected and placed in the displays with much care and attention, includes farming and ranging tools, tools used in the art of weaving, local costumes, jewelry, old photographs and many other objects from the household of Kastania, which depict the progress of people in time. To Airport:5.0km, To Port:100.0km, To Beach:100.0km, To Hospital:5.0km.Room FacilitiesAC, Bathrobes Slippers, Heating, Fireplace, Fridge, Hairdryer, TV, Balcony/Veranda.Hotel FacilitiesBar(s), Cafe(s), Garden, Panoramic View, Park. To Airport:120.0km, To Port:120.0km, To Beach:130.0km, To Hospital:20.0km.Room FacilitiesAC, Bathrobes Slippers, Bath/Shower Tub, Heating, Full Kitchen, Fireplace, TV, Balcony/Veranda.Hotel FacilitiesBar(s), Cafe(s), Garden, Lounge(s), Panoramic View, Pets Allowed, Room Service, Wheelchair Access, 24 Hour Reception, Breakfast Room, Park. To Airport:65.0km, To Port:65.0km, To Beach:30.0km, To Hospital:25.0km.Room FacilitiesAC, Bath/Shower Tub, Heating, TV, Telephone, Satellite TV, Internet Access, Mini-Bar, Balcony/Veranda.Hotel FacilitiesCafe(s), Parking, Panoramic View, Restaurant, Room Service, Snack Bar(s), Sports, Breakfast Room. The hotel Agnanti is built on the roots of mount Pieria and on the highest hill of Velvento, a small town in the Prefecture of Kozani. Showing complete respect to the environment and the traditional history of Velvento. To Airport:120.0km, To Port:120.0km, To Beach:120.0km, To Hospital:25.0km.Room FacilitiesAC, Bathrobes Slippers, Bath/Shower Tub, Fireplace, Fridge, TV, Telephone, Music System, Balcony/Veranda.Hotel FacilitiesBar(s), Cafe(s), Parking, Garden, Lounge(s), Panoramic View, Room Service, Skiing, Swimming Pool, 24 Hour Reception, Breakfast Room, Park. This OPEN NATIONAL HANGGLIDING CHAMPIONSHIP SERVIA OPEN 2018 is an OPEN Category 2 Event and is open to all Member and Associated Member countries of the FAI who may enter any number of pilots holding a valid FAI sporting licence. The total limit of pilots is 65. Το Competition Programme is subject to change at any moment by the Meet Director and/or the Organisation. Competitors are reminded that they are expected to attend the Awards ceremony.